A new MMORPG is coming from Couch Studios titled Ember Sword. The game is shaping up to be free and have cross-play availability. 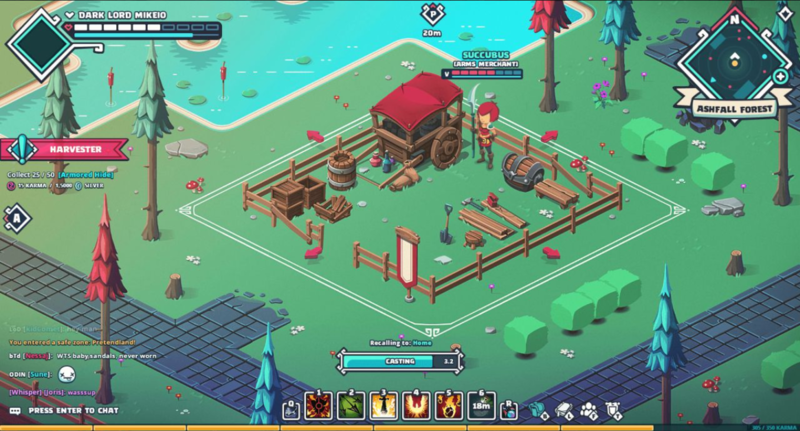 Ember Sword draws many inspirations, including from classic games like Runescape, and Ultima Online, in its combat system, open-world PVP, and economy. The game also promises to put together an engaging and persistent universe by allowing the player to own a parcel of land in-game, similar to Second Life. Cross-Platform play will be available through a browser, a desktop client at release, or a mobile version that is planned for a later release.